Proton Beam Therapy: What does a Patient Experience Coordinator do? Nancy Heinzelman, Patient Experience Coordinator, shares her career journey, role and knack for collaborating with patients, families and caregivers to ensure the best possible experience. How many people at Mayo Clinic can say they were the first person in their position? Nancy Heinzelman, Radiation Oncology, can. She’s the new patient experience coordinator for the Proton Beam Therapy program in Rochester and all of Radiation Oncology. Heinzelman is an 18-year Mayo Clinic veteran. Most recently, she was the desk supervisor in Radiation Oncology. She gained patient care experience in her first position at Mayo Clinic: a clinical assistant in Medical Oncology. The patient experience coordinator is responsible for collaborating with Radiation Oncology patients, families and caregivers to ensure the best possible patient experience. This includes developing and implementing programs for patients while they are in Rochester for radiation treatment. New radiation therapy patients and their family members will be invited to an orientation with the patient experience coordinator. Heinzelman will talk to them about Mayo Clinic, and the community and survey interests. She’ll coordinate activities, which may include art, music, community events, social outings and regional attractions. 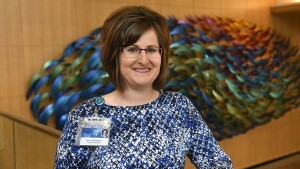 “I’ll be visible to patients and a point person for the nonmedical aspects of their Mayo Clinic experience,” says Heinzelman, whose office is in the Jacobson Building in the new Proton Beam Therapy program. 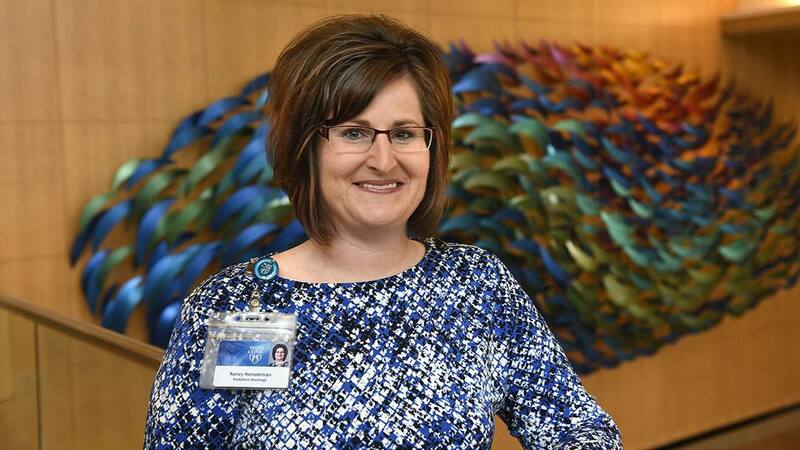 Heinzelman visited a proton beam therapy program in Oklahoma City to study its patient experience coordinator role and participated in Rochester patient experience workshops. The new position was created in large part because proton beam therapy — part of Radiation Oncology — is a destination service. Patients travel from around the country for proton beam therapy and may be unfamiliar with the area. Mayo Clinic's Rochester campus will begin treating patients with proton beam therapy on Monday, June 22. Heinzelman notes that many other Radiation Oncology patients have courses of treatment as long as proton beam therapy, and she will serve all of them. Heinzelman says she’s well-suited for the new position. “I can talk to anyone,” she says. “I try to make it easy for people to approach and talk to me. All of the jobs I’ve had involve interacting with people, which brings me joy. Mayo Clinic's Arizona campus will begin treating patients with proton beam therapy in February 2016 and will hire the second patient experience coordinator around the end of 2015.